Bogdan Iliesiu here, CEO of Angry Mob Games. We’re excited to announce the upcoming launch of our party-fighter, Brawlout, on PS4! We knew we couldn’t be the only ones with fond memories of sitting with the buddies, sprawled across college dorms or sunk into comfy rec rooms. For those with an ingrained love of fighting games, this one’s for you. And by you, I also mean us. 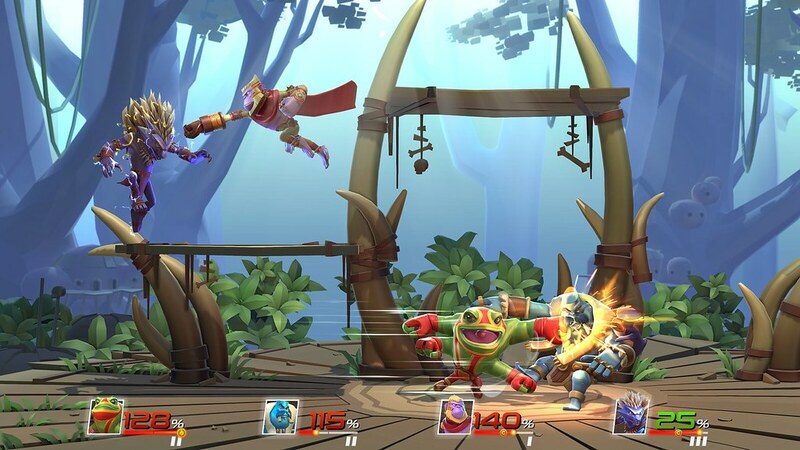 Brawlout is a fighting game built for fast-paced matches and action-oriented play by eliminating shielding and defensive tactics. By focusing on aggressive mechanics, new players will be able to easily nail impressive combos while not feeling overwhelmed by friends who’ve had a bit more practice. It’s easy to learn and difficult to master, which we think is a good way to appeal to both casual players and gamers looking to dedicate the time to honing their skills to become pros. We’ve got seven original fighters to choose from, but add in variants to those characters and it swells up to eighteen, in addition to the three indie guest characters we’ve teleported in from Hyper Light Drifter, Guacamelee, and… currently undisclosed! Want an agile, deadly, assassin-type? Sephi’ra is a good bet (and my personal favorite). For close combat, nothing beats a grappler like Paco, while if long range projectiles are your thing, Chief Feathers, or even better, his Condor X variant covers most of the battleground with carefully placed mines, bombs, or even guided missiles. “Isn’t this just another Smash clone?” is something we’ve heard a lot during development. In some ways, yes, we do have elements that people loved in Smash. Character movement, Ledge grabs and even some character power sets are reminiscent of the Nintendo classic. 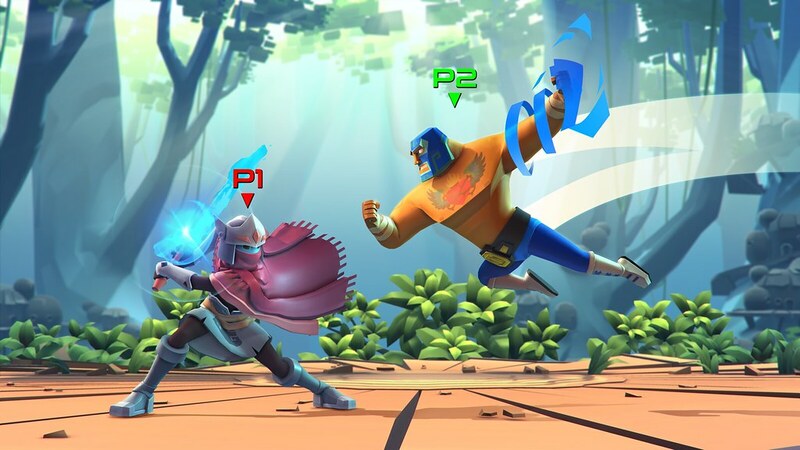 But at its core, Smash Bros. wasn’t where we dove for inspiration when thinking about the type of core mechanics we wanted to include in Brawlout. Our game more closely reflects our love for the traditional fighters like Street Fighter and Mortal Kombat. You really feel the weight of your punches and kicks-in-the-face! Plus combo-breakers! We wanted an aggressive, combo heavy game, not something that was just full of blocks and defensive stand-offs. We’re beyond excited to bring Brawlout to PS4; we’re confident that it’s an experience not previously available for console. 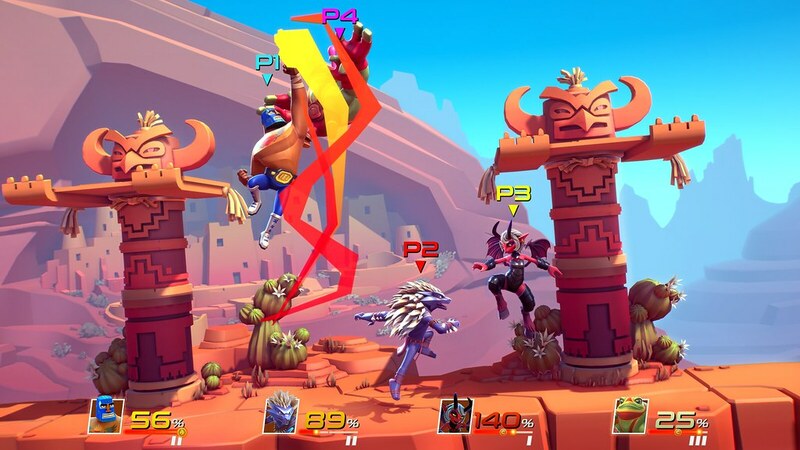 With the PS4’s stellar online capabilities, it was immediately one of the goals we set for ourselves when developing Brawlout. Its visuals got a huge boost, too – plus it’s PlayStation Pro enhanced, with crisp 4K fighting. Feel free to challenge the team online this summer!